These noble embroidered pictures we show that embroidery is more than a name tag on dress shirts. 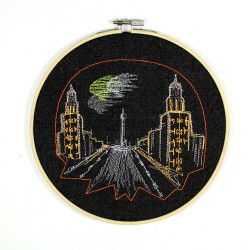 Embroidered images as a decorative image in the hoop. The embroideries in this hoop are drawings which are embroidered by Wertstueck Flickli as photos as beautiful images in a hoop out these embroideries as art objects a new significance. The images in the hoop not only look classy, they offer art outside the mainstream. 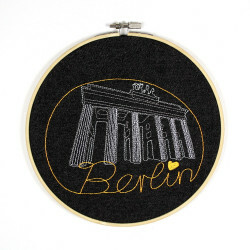 Whether as a decorative element in their own room or as a gift for people who love the special, with these embroidered pictures in the hoop, everyone can make a great gift, a joy or friends. embroidered pictures in the hoopThere are 2 products.